Democratic Effort To Override Hobby Lobby Ruling Fails : The Two-Way A bill to require employers to pay for birth control did not pass a procedural vote in the Senate. The vote may have been held largely to put GOP senators on record on the issue. A Democratic effort to override the Supreme Court's recent ruling on contraceptive coverage failed in the Senate on Wednesday. Bill sponsors fell four votes short of the 60 votes needed to cut off debate on the measure. But the purpose of the vote may have been less about trying to move legislation than to put Republicans on record, NPR's Laura Sullivan reports. Democrats are using the issue of contraception policy in heavily contested Senate races in states such as Kentucky and Colorado. "Every senator must take a stand for individual liberty," said Democratic Sen. Barbara Boxer of California. "Women are watching." The court's decision last month in the Hobby Lobby case allows some private companies to withhold coverage of contraception if it violates their religious beliefs. "It shouldn't be up to your boss whether you as an employee get access to health care or not," said Sen. Chris Murphy, a Connecticut Democrat, during floor debate. "We are entering into a new era in which five men on the Supreme Court are going to make decisions about what kind of health care you get as a result of decisions made by your boss." Republicans dismissed that argument, saying that Democrats were simply trying to score political points. 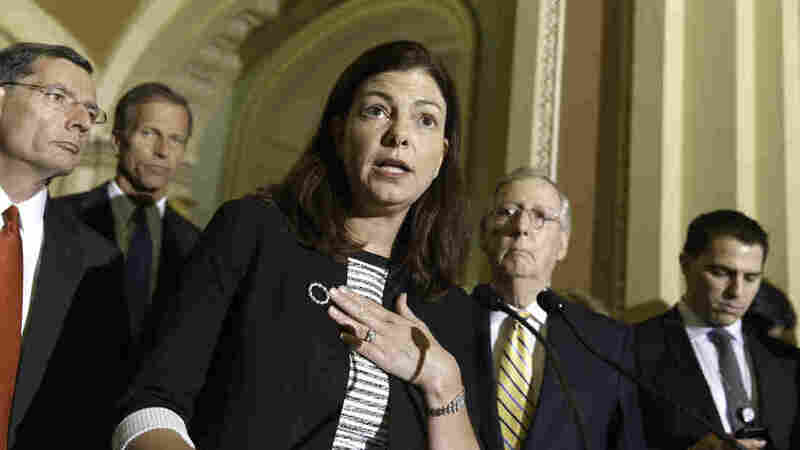 "Nothing in the Hobby Lobby ruling stops a woman from getting or filling a prescription for any form of contraception," Kelly Ayotte of New Hampshire and Deb Fischer of Nebraska, both Republican senators, wrote in The Wall Street Journal. "No employee is prohibited from purchasing any Food and Drug Administration-approved drug or device, and contraception remains readily available and accessible for all women nationwide." Along with other Republicans, they cosponsored legislation to counter the Democratic bill. The GOP's measure would "reaffirm that no employer can prohibit an employee from purchasing an FDA-approved drug or medical device, including contraception." Texas Republican Sen. Ted Cruz described the Democratic bill as part of an ongoing attack on religious liberties, citing the lawsuit filed by the Little Sisters of the Poor against the Obama administration fighting the birth control mandate. "When did the Democratic Party declare war on the Catholic Church?" Cruz asked on the Senate floor. "Right now, the Obama administration is litigating against the Little Sisters of the Poor, trying to force them to pay for abortion-producing drugs."